At the beginning of the Great Depression in 1931, Texas and Oklahoma went to war over a 75-cent toll bridge that connected their states. 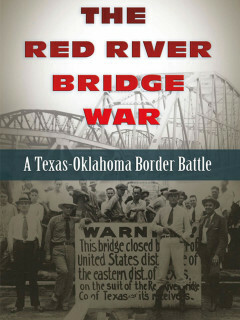 Join Rusty Williams, author of The Red River Bridge War for a talk on this dramatic two-week affair which featured National Guardsmen, Texas Rangers, angry mobs, Model T blockade runners, and traffic jams that backed up for miles. This unlikely conflict serves as a cautionary tale, providing historical context for the current trend of privatizing highway infrastructure.